The Mathare Girl Power Project (MGPP) was established under the name of Fiona’s Salon Initiative in 2013 with 5 girls who were rescued from child labour in the Mathare slums in Nairobi, Kenya, with support from Mrs Fiona Weijkamp Sims ( the Netherlands) and Mrs Maqulate Atieno Onyango ( Mathare, Nairobi ) We have started with a small hair dressing salon where girls can learn this trade and gain skills to enable them to earn a living as hairdressers. This is a small scale venture which is working well for the girls involved. We now want to reach out to many more young girls out of school and children from the orphanage centre in the Mathare area. We feel it is important to conduct health and peer education programs for the empowering and improvement of support for vulnerable girls and teenage mothers. We want to provide support for those affected and infected with HIV/AIDS, orphan girls, and teenage mothers. (In other words, youth in need of care and protection,) Our aim is to enable sustainable livelihoods through the learning of quality vocational skills. The Mathare Girl Power Project also wants to work on preventing child abuse and violence through conducting workshops and advocacy sessions at the drop in centre. Also to help prevent the spread of HIV/Aids in the same manner and empowering young members of the community. 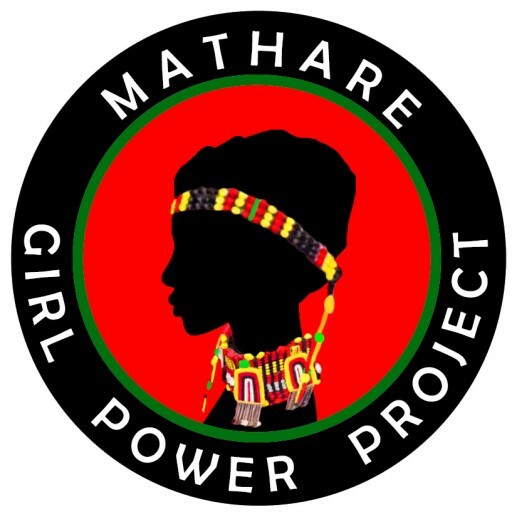 Mathare Girl Power Project is a Community Based Organization (CBO) registered under the laws of Kenya, with a certificate of incorporation and CBO. These enable individuals and communities to provide support towards vulnerable girls in acquiring valuable life skills. Our objectives will be achieved through the building of a vocational training centre which will be possibly located at Umoja estate or in the Mathare slums and will include a nursery, where young mothers will be able to have their children looked after in a safe environment whilst they work and train, a ‘drop in advice centre’ for those suffering from abuse or those in need of help and advice, which can be easily accessed by people from these target areas and which will offer recreational facilities for psychosocial support. Here women of reputable backgrounds will be invited to talk to the girls and be convinced to be the voice for the girl power project. The building will be a two storey one with the nursery and the advice centre on the ground floor. On the first floor will be the hairdressing salon and the tailoring school. Here girls will be taught valuable skills which will enable them to improve their lives and prospects for their future lives and for the benefit of their children. We will also offer facilities to teach basic computer studies, english and mathematics. While we are raising funds we will be working towards our goal in stages. Stage 1 – we need to buy a piece of land on which our school will be built. Stage 2 – will be the realisation of the ground floor nursery and advice centre. Stage 3 – will be the addition of the first floor, where our hairdressing salon and tailoring school will be situated. Basic English, mathematics an ICT skills. The time table will be divided into two parts to represent a maximum duration as per the government requirements in vocational skills schools. The dean of studies who will in turn report to the directors and partners will oversee the activities at the school and monitor whether the time table is observed. The vocational school will be systematic in its approach and its main focus will be the provision of relevant skills for either wage or self employment. Girls who are not in the formal system of education will have access to short term professional training. Marginalized and poor girls will have a chance to study and girls from streets will be equipped with practical skills. Livelihood will be improved since 70% of our people are from poor backgrounds. Volunteers who will be helping at the centre will recieve a stipend allowance which will improve their income and livelihood. Employment opportunities will be offered to tutors, beauticians and tailors to counteract the unemployment problem which is a major problem in the slums of Nairobi-Kenya. The school will involve counseling to enable girls to find remedies for life skill issues and reproductive education to help them cope with daily challenges. We feel it is very important that our project is sustainable and that once it is up and running, funds will be needed for basic running costs only. We want to produce revenue through producing saleable products from the tailoring school and through revenue from customers using the salon and the nursery. Partnerships are to be set with global donors who we hope, will donate towards this noble cause. Donor partners will be requested to donate to the project which will help in raising funds to sponsor the project activities. – Pre school. We will be taking care of the young ones while their mothers work and as part of early childhood learning for the children. – Revenue. Projects like baby care and preschool, salon, beauty products, tailoring and dressmaking, art and craft, fruit value addition project will be established to bring in revenue which will be used in the implementation of CBO activities. The beneficiaries on completion of their studies will be called upon to contribute generously towards the project. On the understanding that some people of good will, contributed to the fund they benefited from.